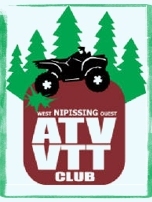 ATVOntario - Where to Ride! 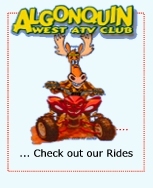 Welcome to the ATVOntario website. 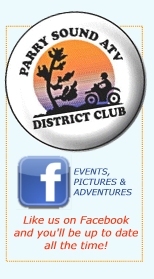 This one-stop resource has all the information you need to plan an exciting outdoor adventure in one of our rugged and beautiful ATVOntario Communities. To obtain an Ontario Road map visit one of our Travel Information Centres (see below) or click here. Ontario?s Travel Information Centres provide tourist information, brochures and public restroom facilities to visitors and travelers. These friendly, convenient and informative centres are operated by the Ministry of Tourism and Recreation. Call or drop in to a Travel Information Centre for brochures, special-interest publications, maps, and directions. Call 1-800-ONTARIO (1-800-668-2746) to verify current Ontario travel opportunities. Or visit ontariotravel.net for a vast listing of tourism experiences in our province. Due to the large amount of geography that Ontario covers, temperatures will vary tremendously from region to region, and even within the specific regions. Ontario?s weather is generally considered continental, with the lowest temperatures being recorded in January and the highest in July. To convert from Celsius to Fahrenheit, multiply the ?C by 9, divide by 5 and add 32. While some establishments and outfitters will accept American currency, it is recommended that visitors to Ontario use Canadian funds. Currency exchange offices offer up-to-date exchange rates and are conveniently located at the U.S./Ontario border and in most Ontario Travel Information Centres. Good exchange rates can also be found at the currency exchange desks at international airports (Toronto, Ottawa), banks, trust companies and credit unions. If you are a permanent resident of the United States, you won?t need a passport or a visa to enter Canada. You will, however, need proof of citizenship such as a birth certificate, citizenship certificate, or landing card. If you are a non-resident of Canada, you will require a license to fish in Ontario. Residents of Ontario, and Canadian residents living outside of the province, also need an Outdoors Card before they can buy their fishing license. 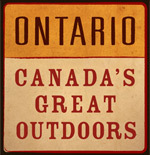 Applications for the Outdoors Card and licenses are available at most sporting goods stores, bait and tackle outlets, tourist outfitters, fishing lodges, and at the district offices of the Ontario Ministry of Natural Resources. License fees are comparable to those in most of Canada and the United States. For more detailed information, pick up a copy of the Recreational Fishing Regulations Summary available at most Ontario Travel Information Centres. CALL TODAY TO BOOK YOUR ADVENTURE PACKAGE! ATVOntario offers over 2,000 kilometres of legal, well-managed trails thanks to our many partnerships with landowners. Our trail systems are GPS mapped, well signed, insured and offer you worry-free self-guided riding. They are close to fuel, food and accommodation. Copyright © 2003 - 2008 ATVOntario Tourism Initiatives Inc.